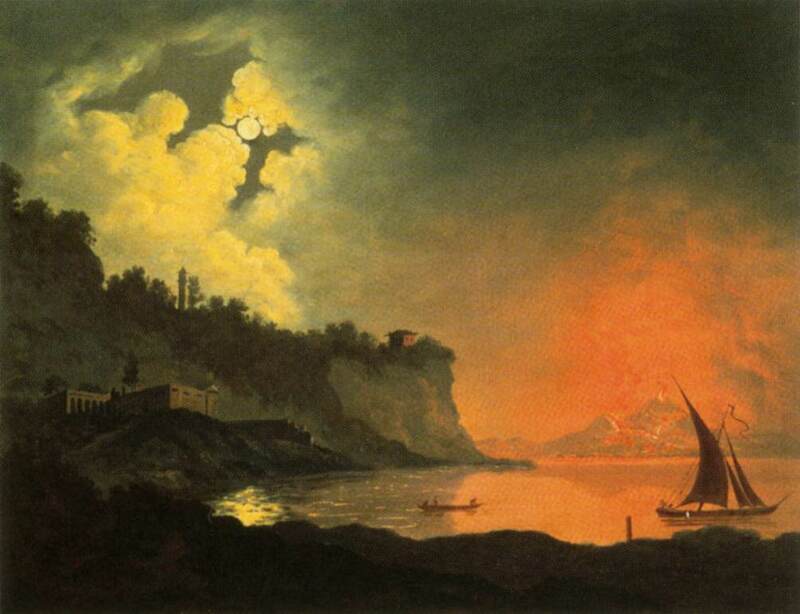 William Marlow, Vesuvius Erupting at Night, c. 1768 (Berger Collection, Denver Art Museum). Marlow was a British artist who visited Italy between 1765 and 1767. He may have witnessed the eruptions of March 1766 and March 1767. Johann Christian Claussen Dahl, Vesuvius Erupting, 1826. Dahl (Norwegian) was a pupil and colleague of Caspar David Friedrich in Dresden.